James Isaac Albie age 69 of Merrifield died on August 13, 2018 with his family by his side. James fought a courageous and dignified battle with cancer. He was born on January 27, 1949 in Crosby to Richard and Irma (Talvitie) Albie. Jim was a Crosby-Ironton High School graduated, class of 1967. He was U.S. Marine Corp veteran serving during the Vietnam era. He was a retired employee of Potlatch Corp. with 29 ½ years of service. 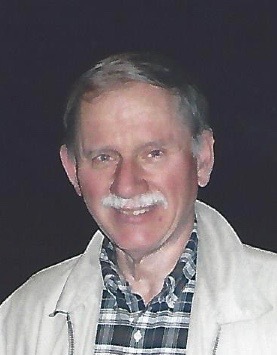 Jim was a member of Bethlehem Lutheran Church in Brainerd. Jim is survived by his significant other, June McComas of Merrifield; one son, Jamie (Jill) Albie of Staples; one daughter, Tricia (Craig) Warner of Brainerd; his mother and step father, Irma and Clem Albie Gagnon of Ironton; one sister, Jean (John) Albie-Rock of Kinnickinnic,WI; three grandchildren, Kayla Warner, Krista Warner and Sophie Albie; many nieces, nephews and God children. Preceding Jim in death are his father, Richard Albie; and a brother, Ralph Albie. Funeral services will be 11:00 a.m. August 20, 2018 at Bethlehem Lutheran Church in Brainerd. Burial will be at the Lakewood Cemetery in Crosby with full Military honors given by the Myrin-James American Legion Post #443 of Ironton. Visitation will be one hour prior to the services at the church on Monday. Arrangement are with the Koop Funeral home in Crosby.